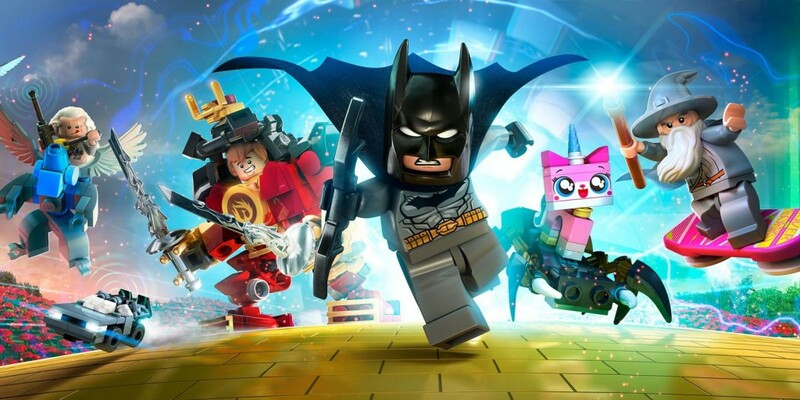 In September of last year, TT Games and Warner Bros. released LEGO Dimensions. Dimensions took the formulae of previous LEGO titles and applied it to the toys-to-life format. Since launch, a variety of different packs have been released in waves, that brought multiple properties to the Dimensions platform. From Jurassic World, Lord of the Rings, Back to the Future and The Simpsons. The aim of Dimensions is to create one unified experience that builds upon what makes LEGO games so great. That mindset is still very much the same with Dimensions entering its second year, only this time, things are expanding even further. Year 2 is promising to introduce even more characters, gameplay mechanics, and worlds to enhance the experience of Dimensions. “We really don’t think of it as a sequel. It is very much a continuation of the main game. We said last year that we wanted to build a platform, in the same way that you might build the Batcave as your LEGO set and then go on to buy Catwoman’s motorbike, for example. We’ve approached Dimensions in very much the same way. This is something that Nick stressed during our time at a preview event for LEGO Dimensions Year 2. Everything from waves 1-6 are interchangeable with the new sets coming in Year 2. Finn the Human and his Muggle blood won’t be locked out of entering Hogwarts in the Harry Potter pack. Nor will Ethan Hawke from Mission Impossible be unable to accept the mission (if he so chooses) presented in the Ghostbusters Story Pack. Everybody can pop-up anywhere. Speaking of the competition, it wasn’t too long ago that Disney surprisingly pulled the plug on its toys-to-life platform, Disney Infinity. After a solid debut in 2013 that exceeded the amount of stock produced, more toys were manufactured to meet the demand. However, the expectations were way off and Disney significantly over-produced, putting a huge dent in the company’s financials. Restrictions within the game itself that didn’t allow the use of characters in other playsets, and fierce competitors, ultimately led to Infinity biting the dust. “It was very sad to hear about [Disney] Infinity, they were great games. What we’ve always tried to do is think about how can we work with LEGO and Warner Bros. to make our games as good as they can be. “For us it has always been about that distillation of what it means to play with LEGO: that creative building experience. That concept goes right back to the LEGO Star Wars games, the idea of Free Play and being able to unlock characters, and mix and match them much like you would LEGO toys. 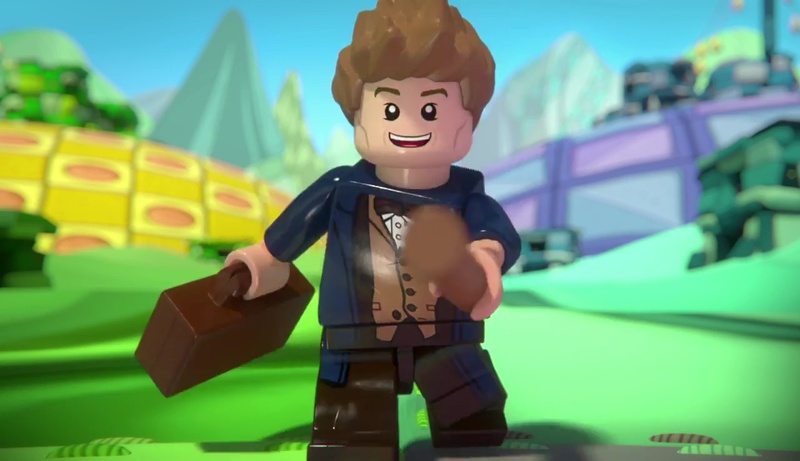 LEGO Dimensions is a continuation in that vein, just to a much larger degree. One of the particular strengths of Dimensions, and indeed the standalone LEGO titles, is the diverse cast of characters. 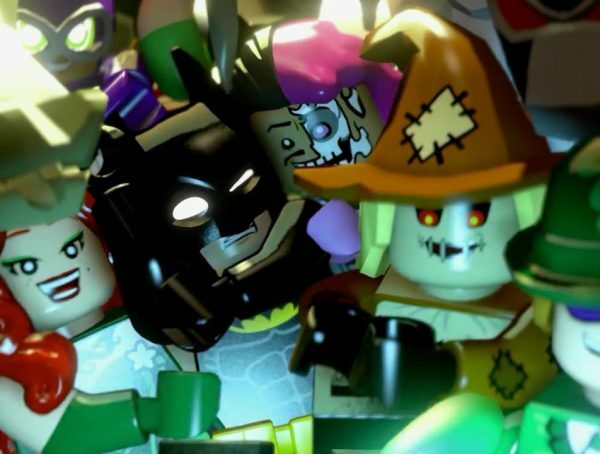 LEGO Batman 2 and LEGO Marvel Superheroes included a ridiculous amount of characters from their respective universes. From the big names like Batman and Iron Man, to Blue Beetle and Squirrel Girl. Dimensions takes that one step further by incorporating characters from different properties. Year 2 will see the likes of Beetlejuice, ET, Teen Titans GO and Harry Potter star alongside the likes of Lord of the Rings and Ghostbusters already introduced. It is quite remarkable how Dimensions manages to include some many brands. “There is a steering committee amongst ourselves, Warner Bros. and LEGO were we think: okay what are our aims? What are our goals to make the best game possible? Everyone has something to bring to the discussion, but there are some restrictions. “Some things work really well in LEGO form and regrettably some don’t. If we have thin, spindly, tentacle things then that won’t translate well. So we have to play to our strengths and think what will work best for Dimensions. That is especially the case when you consider one character in particular that is coming to Dimensions, Sonic. TT Games and Warner Bros. have worked with SEGA to bring the Blue Blur to Dimensions, with his own Level Pack to boot. What is special about this pack is that it plays just like a level from the classic Sonic games on the Genesis. It is a 3D side-scroller with the famous red springs and loops lined with gold rings. The animations and sound effects will be nostalgic to anybody who has played one of those games. 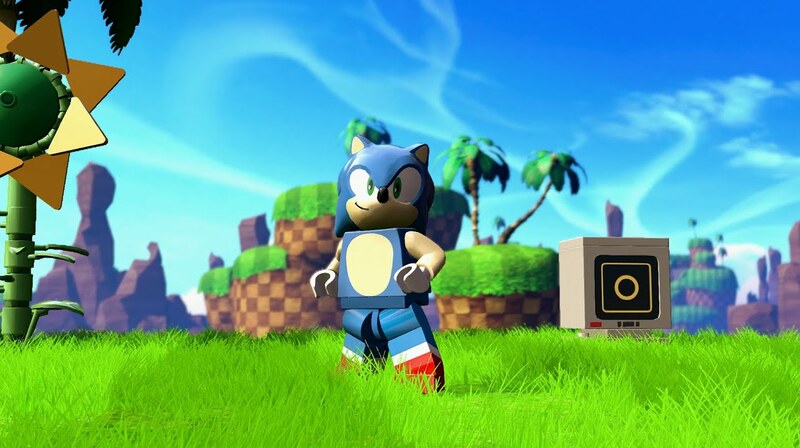 “We are immensely privileged to be working with LEGO, and LEGO as a brand has such equity so that everyone understands it, even someone like SEGA in Japan. Hopefully over the last 10 years, LEGO games themselves have been successful because they’re reverent and they treat the material sensitively. “I think we were able to demonstrate what is key and important to SEGA, also remains important to us. All we wanted to do was reimagine it in a different way. The guys at SEGA have been absolutely fantastic to work with. “The passion that is so evident from them, right down to the feedback they’re giving us. Looking at the frames of the animations and saying “bend the legs a bit more like this”, just shows that the care immensely about the characters. It has very much been a meeting of minds. “We went over and above what the character looked like and how he feels to play. Ensuring that you’re getting that sense of speed and acceleration was so important. That is something that comes back to the distillation of what the core experience is. Harry Potter is a wizards adventure. Lord of the Rings is like an RPG. Whatever world we are in we try to distill what is unique about that and blend it with the LEGO formulae. So when it came to Sonic, it was about adventure, platforming and speed. So Year 2 of Dimensions looks set to diversify its cast of characters even further by including some very famous faces. Securing the likes of Sonic and the Gremlins is a testament to the power of LEGO. 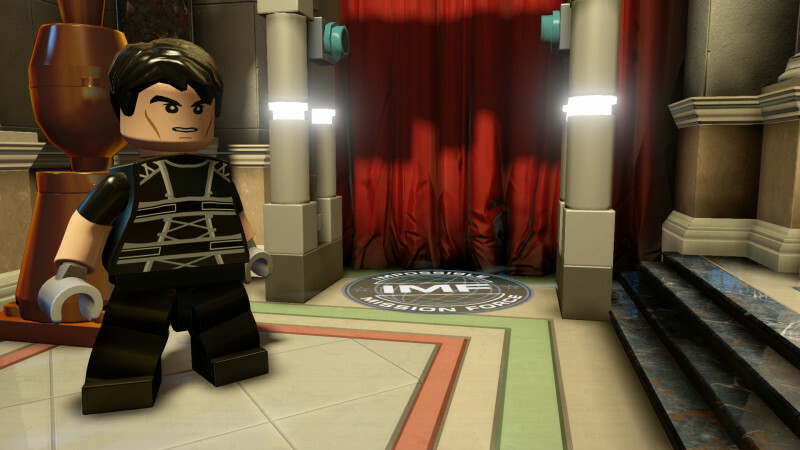 Some of these characters we’d never have expected to appear in a video game, let alone a LEGO one. 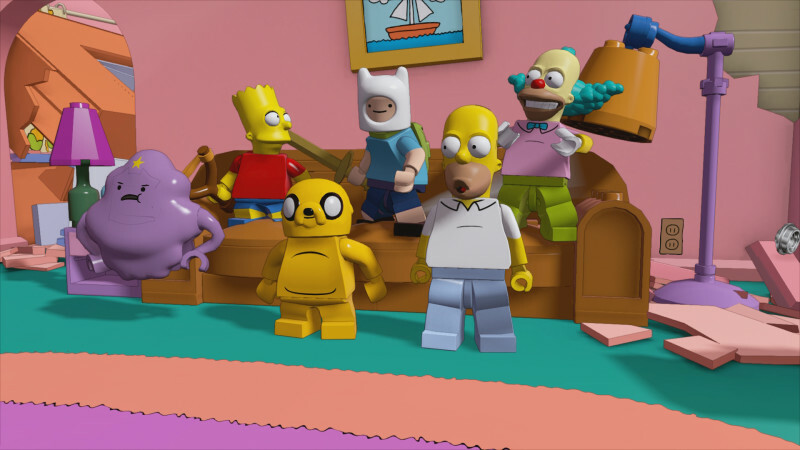 “Because this is our first extension to LEGO Dimensions we really don’t know how people are going to react. Our focus is still very much on this year. We’ve built on our library, our characters, and answered the call to include more childrens properties. LEGO Dimensions Year 2 kicks-off on September 27, 2016.